Cubic zirconia is a synthesized crystalline material. It resembles diamonds and can be colorless or have color. Cubic zirconia is usually flawless and hard. It is durable like diamonds and can be shaped to look like most diamonds. It is found in different jewelry but is most common in rings. The Cubic Zirconia Rings below are designed by the artist David Weitzman. Each ring is designed with deep meaning and with intent to inspire and empower you on your journey towards unity and wholeness. The use of Cubic Zirconia as a replacement for diamond allows for a better price while keeping the design and beauty intact. The Mobius ring is a symbol of oneness and unity. The three cubic zirconias are embedded on its side. It reminds the wearer to look outside dualistic concepts and broach an inner unity and peace. With three cubic zirconia set in the front of this ring, The Bulgakov shines. The ring is based on the book Master and Margarita by Mikhail Bulgakov and is designed to remind the wearer that he creates his own reality. 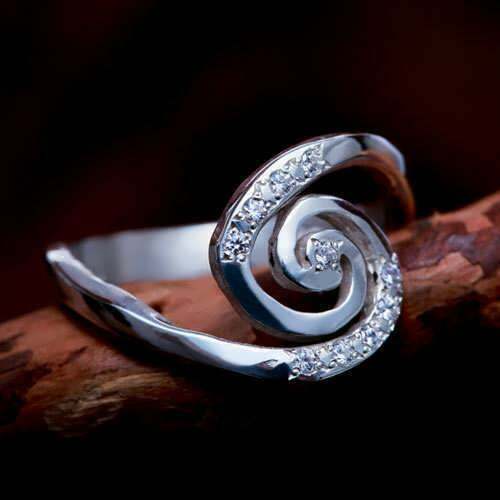 This ring shows off the cubic zirconia in its spiral shape. The ring’s shape is based on the spiral of the M51 galaxy and the Fibonacci number sequence. 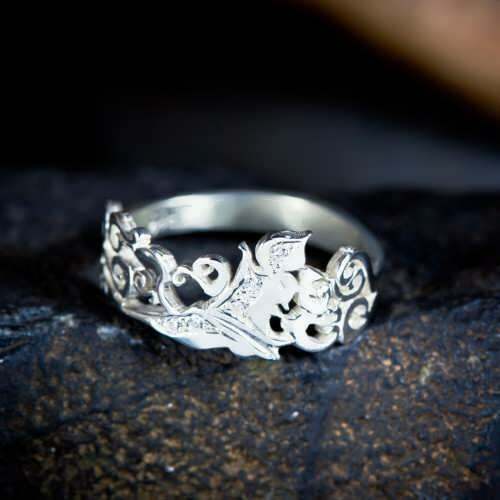 It is a shape found in many parts of nature that reminds the wearer that they are but a small part of the larger world. 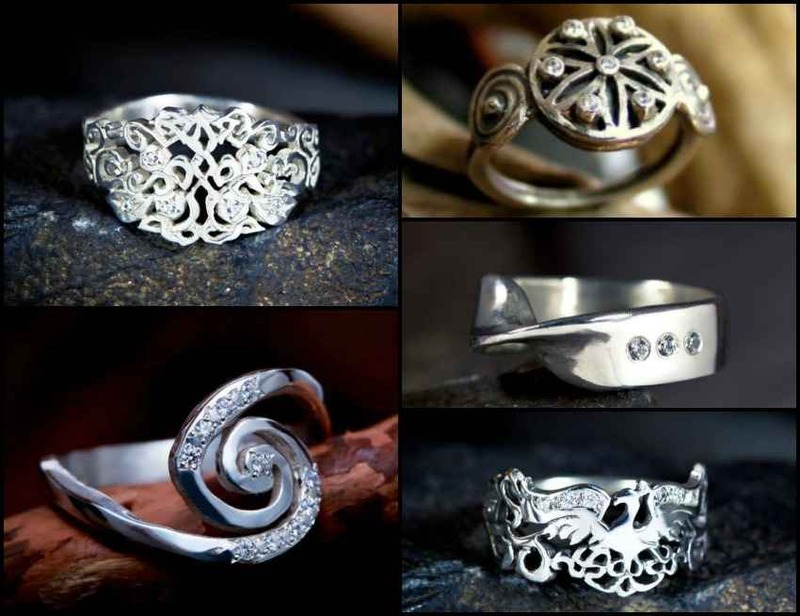 The Earth Element ring is based on a tree and fruit design with the fruits represented by cubic zirconias. This ring is part of the Four element project and is related to the first Chakra. The Water Element ring contains a water lily and two fish which are highlighted by cubic zirconias and symbolize spiritual abundance. 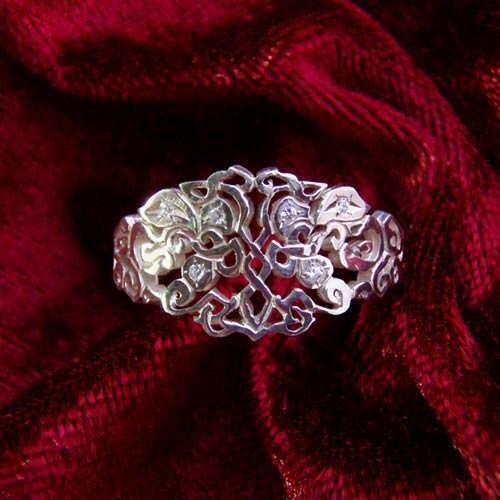 This ring is part of the Four Elements project and is related to the second Chakra. 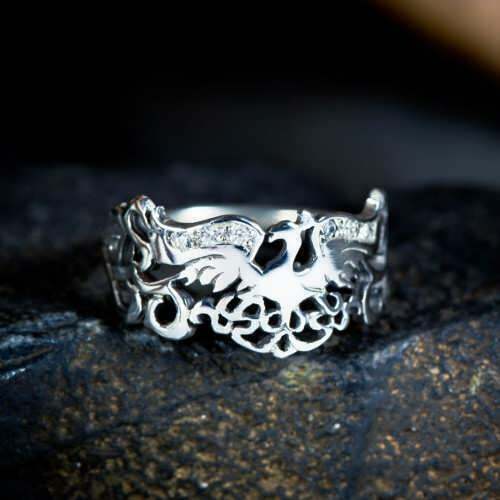 Cubic zirconias highlight the wings of the Phoenix, a symbol of rebirth, on the Fire Element ring. 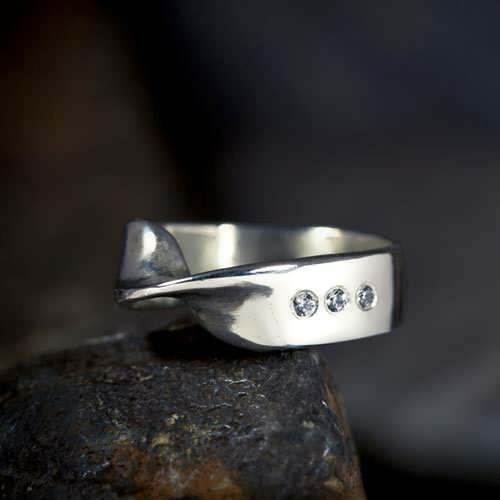 This ring is part of the Four Elements project and is associated with the third Chakra. The Air Element ring contains the Egret bird, a symbol of detachment and the ability to see the whole picture, which contains cubic zirconias. 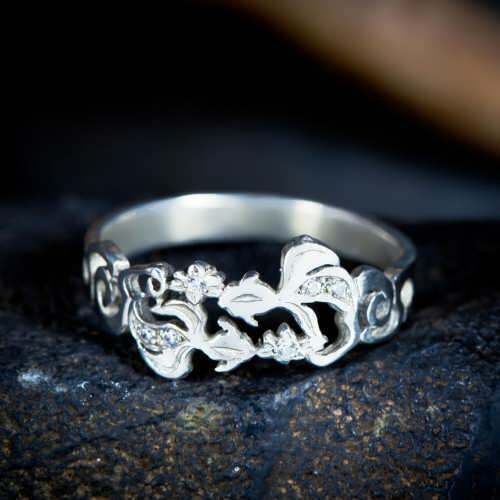 This ring is part of the Four Elements project and is associated with the fourth Chakra. 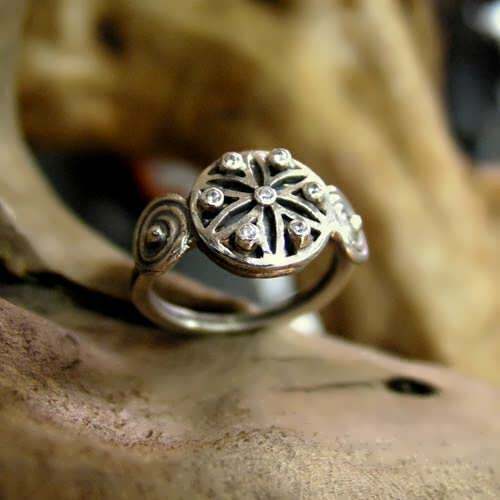 The Ka ring is a take on the Seed of Life which is seven intersecting circles representing the creation of life. 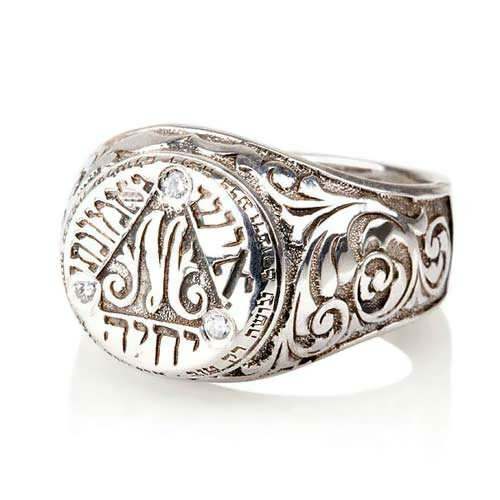 Cubic zirconias are found on the circles and intersections of this intricate ring.